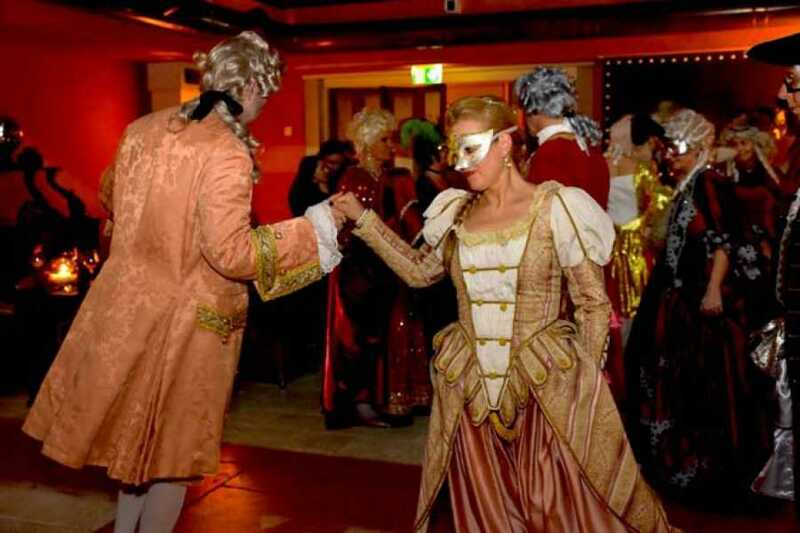 Enjoy carnival dances in one of most suggestive place of Venice, from few steps to St. Mark! The sweet event of the Venice Carnival in Costume held in a typical Venetian campiello (small square), covered by a glass rooftop, of the Hotel Splendid Venice. The guests will enjoy hot chocolate and Venetian biscuits in a festive atmosphere. A classical trio will accompany the Dance Master and his partner during their dance lesson. The guests will learn the basic steps of period dances and take home with them an unforgettable experience. If you want to know our cancellation and payment policies click here.